Recently I posted on the benefits of enabling build scans on your project, as you may appreciate in the screenshots you get a link to the build scan’s URL as a result when the build is run. This URL is build specific and only those that have access to the build log will be able to see the link. What if you wanted to share the link with others? 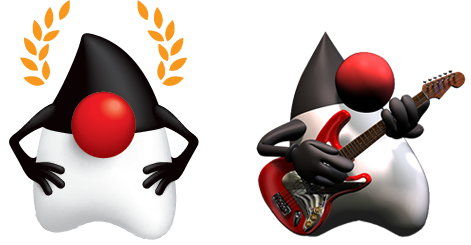 There are many ways to share information about a project hosted on GitHub/Gitlab/Bitbucket, one of them happens to be Gitter.im. Gitter.im is a messaging system that connects with GitHub repositories, bringing the IRC experience to the era of social coding. Gitter already provides integration with popular services as shown in the next screenshot. 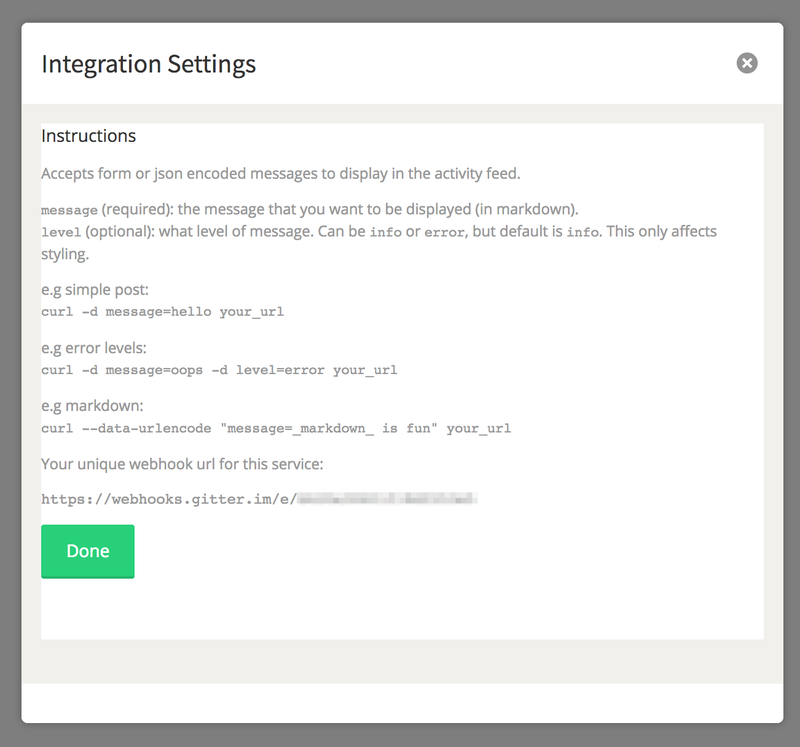 Log into Gitter using your Github/Gitlab/Bitbucket credentials. Locate the repository you’d like to connect. 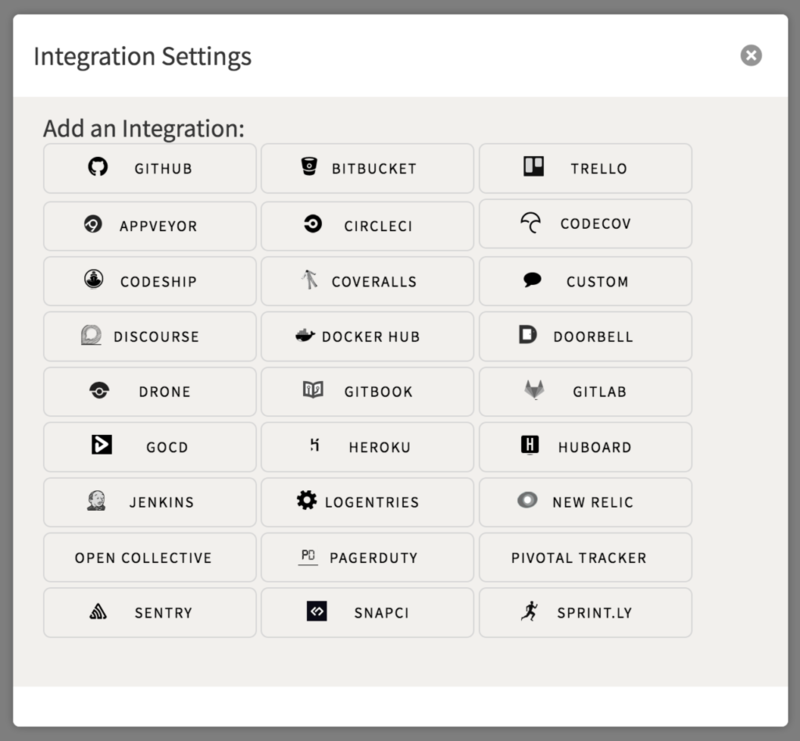 Click on Settings -> Integrations. Now everyone on the room we’ll see the notifications when a new build scan is available. The link to the build scan shown above is https://gradle.com/s/qjuexgiedrb52 if you’re curious to find out what kind of information becomes available when build scans are enabled on a project.